"Cooperation, Consequences, and Keeping Your Sanity"
You`ll learn a five-step instruction routine that teaches cooperation and responsibility. You will also learn tools for correction that help kids change their hearts, not just their behaviour. This is a powerful seminar providing moms and dads with practical tools that you'll use every day. It's a biblical model that helps parents move from behaviour modification to a heart-based approach. Tools and strategies will be presented, to work with children ages 2-18. 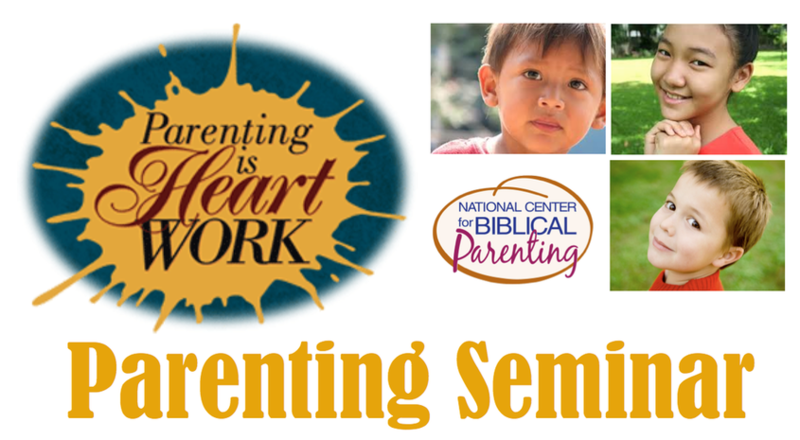 All parents, grandparents, and teachers will benefit from this seminar as you learn to address heart issues in the midst of every day interactions with kids. Parents of seven children, grandparents of ten. Together they direct Caring for the Heart Ministries Canada and are representatives of the National Centre of Biblical Parenting.